See and learn your first animal words with this fun, chunky board book! 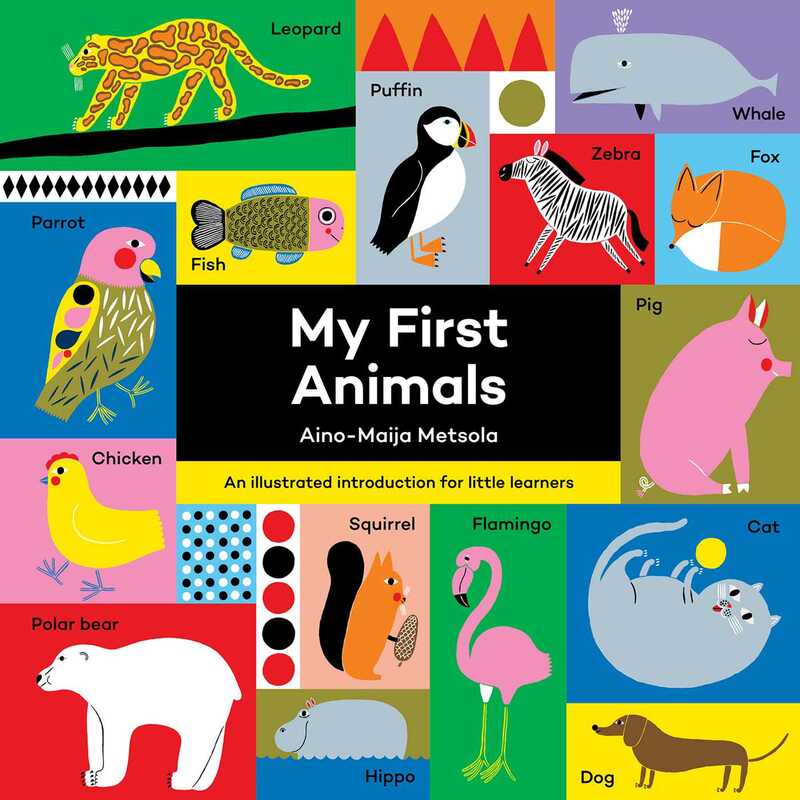 Learn your first animals with stylish artwork from Aino-Maija Metsola. With 70 essential words to see and say, plus sturdy pages for little hands to hold, young readers will enjoy naming animals on every spread. My First Animals is a perfect introduction for little learners! Aino-Maija Metsola is a Finnish illustrator and designer whose work encompasses prints and illustrations across a wide range of surfaces. With a strong interest in color, she creates bold yet subtle images using a diverse number of techniques.